Often times, we experience a person who has lied to us. In a strange way, even this situation works toward your 100% good, if you do one important thing at the end. When a person lies, it is giving you the ability to rebuild your brain’s full connections and avoid future similar experiences. When experiencing lies, the situation is building your capabilities in selecting the best path for yourself and others. The experience bridges the past and future brain memory together. And the act of turning away from a liar, rebuilds your TRIABRAIN – the right side of your brain’s feeling capabilities; the center’s truth discerning capability and the left side’s fact checking abilities – only if you set boundaries, end the toxic relationship, and no longer allow the lies to repeat. Do you know when someone is lying to you? How can you spot a liar? How can you know the truth? During the most recent 2016 U.S. Presidential Election debates with Hillary Clinton and Donald Trump, psychologist saw a high rise in anxiety, and they explained that the audience experienced significantly heightened emotional distress when discerning the facts versus lies. 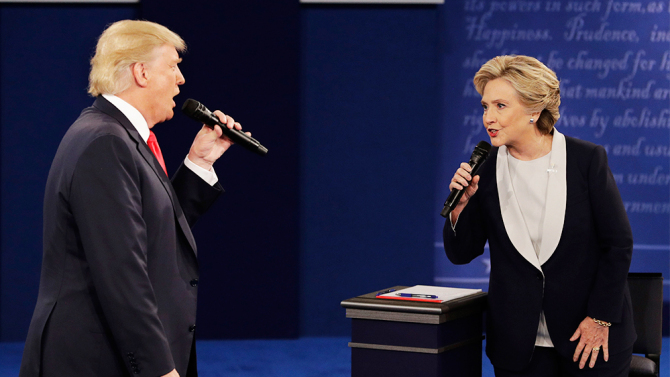 Millions of people were significantly stressed by the debate experience that the American Psychological Association created new election coping tips. In this episode, scientist and talk show host Olympia LePoint will explain the ways to spot a liar, the brain phenomenon witnessed in people withholding the truth, how to discern between the truth versus lies, and the ways honest people can protect themselves from these toxic relationships, so a person can win an honest life. Photo Credit: Image from the second 2016 United States Presidential Debates. Everyone lies, to some extent. But some people lie regularly for brain reasons. Sometimes a lie is to avoid hurt feelings or circumvent an awkward situation. But oftentimes, the motive for deception is far more brain destructive. According to the Society for Neuroscience, a lie is made up of two parts: 1) The creation of the lie itself; and 2) the willingness to withhold the truth. 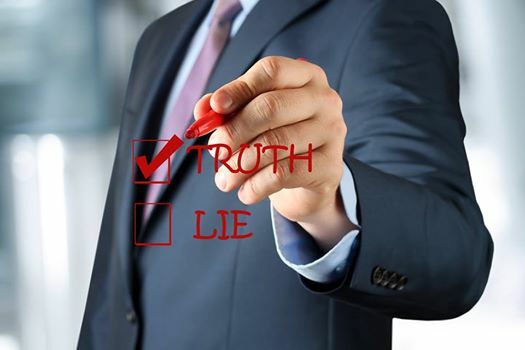 Within the lying process, several brain areas appear to play a role in deception, however the most consistent finding across multiple functional magnetic resonance imaging (fMRI) studies shows activity in the prefrontal cortex increases when people lie. In article “Prefrontal cortex and executive control to deception: evidence from activation likelihood estimate meta-analyses.” Scientists discovered that the prefrontal cortex, situated just behind the forehead is responsible for the first part of a lie, known as the lie formulation. This is the same part of the brain responsible for goal setting. The second part of the lie, withholding the truth, is less accurate to detect with scientifically methods. Polygraphs are used to capture the emotional response from heart rate, skin conductivity, and respiration; however, these results are often controversial. According to US New Today Report: “NSA Whistleblower Reveals How To Beat a Polygraph Test,” it is reported that a person can beat a polygraph while telling a lie by daydreaming about a situation that calms their nerves, like being on a tropical beach. As a result, a person’s instincts plus pattern recognition capabilities are the best indicators for determining the truth versus a lie.